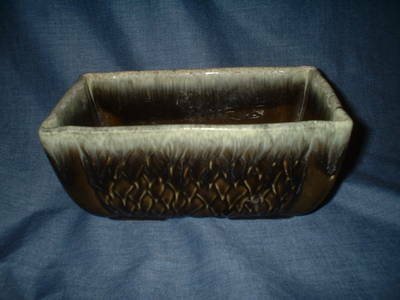 Description: This is a beautiful little rectangular planter in a lovely forest green drip with a sort of feathery or leafy textured design. 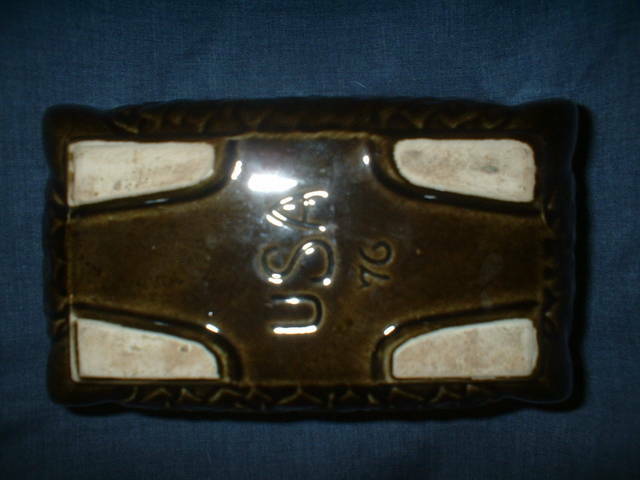 The planter, which measures 3 1/4" tall by 7" long by 4 1/4" wide, is marked "USA 76". I have seen the same planter listed on-line as Hull or McCoy. Its unfinished feet lead me to lean towards Brush but I cannot really attribute it to any one pottery. 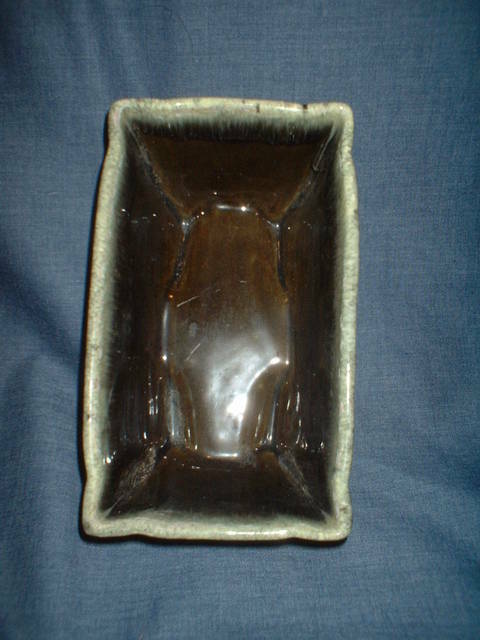 This piece is in excellent condition with no chips, cracks or crazing.